The Department of Homeland Security is using new workforce staffing models to address challenges in aligning operations with employment needs, Federal News Network reported Monday. The official said the new staffing models now cover 64 percent of all positions at DHS and 92 percent of law enforcement positions at the U.S. Citizenship and Immigration Services, Immigration and Customs Enforcement, Customs and Border Protection, Federal Emergency Management Agency and the Secret Service. Immigration officials use the model to track and project the number of employees needed to adjudicate applications and process forms for the next 10 years. The Transportation Security Administration is using its own staffing models to monitor changes in its workload as well as airport checkpoints and terminals. 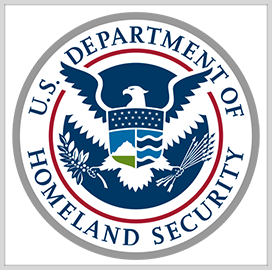 DHS plans to expand the use of the models to manage all of its civilian employees in the future.